Event Description----- Sabaidee Pii Mai! Please join in with parade as we walk from Bangkok Restaurant’ front. 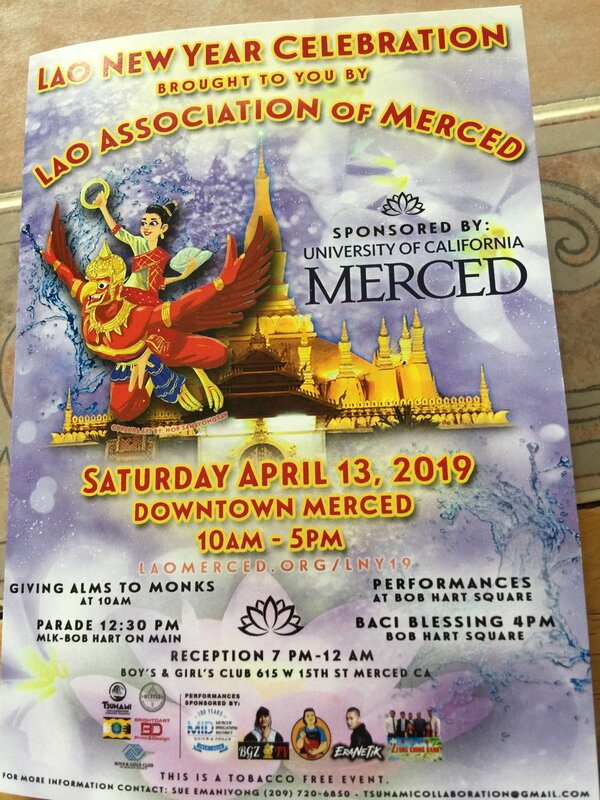 We encourage everyone to wear Laos, Thai, Cambodian and Hmong traditional costume in the parade. It’s would be eventful! There’s will be food vendors( 6ish) and other souvenirs and infos boots, total of 30 along with music and performance at Bob Hart Sq. Throughout the day. Giving alms to monk and blessing from 9:30AM to 12:30. Tuk Bhat inside Papaya lady building. Parade start at 1 PM from front of Bangkok’ Main St. toward Bob Hart Sq. Traditional dance: Salavong, Champa and Monk blessing (chu Kuan) at the Square. from 1:30 to 5 PM. There’s will be about 6 floats/ trailer along with music and water festival, bring super soaker and water toys. There’s will be a traffic control for parade and streets will be blocks off, the whole block around Bob Hart’s square will be blocks off til 6 PM. Please wear traditional new year wardrobe and join in the parade along with your family. For party hardy, live band at Boys n Girls Club from 8PM, donation $15. There’s will be alcoholic beverage, foods and music 🎶. Street Address----- 510 W. Main St.